PEN/HEMINGWAY AWARD FINALISTA fiercely poetic literary debut re-creating the life of an 19th-century slave woman in South Africa.Slavery as it existed in Africa has seldom been portrayedвЂ”and never with such texture, detail, and authentic emotion. 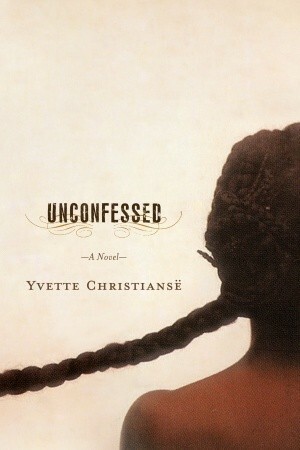 Inspired by actual 19th-century court records, Unconfessed is a breathtaking literary tour de force. They called her Sila van den Kaap, slave woman of Jacobus Stephanus Van der Wat of Plettenberg Bay, South Africa. A woman moved from master to master, farm to farm, andвЂ”driven by the horrors of slavery to commit an unspeakable crimeвЂ”from prison to prison. A woman fit for hanging . . . condemned to death on April 30, 1823, but whose sentence the English, having recently wrested authority from the Dutch settlers, saw fit to commute to a lengthy term on the notorious Robben Island.Sila spends her days in the prison quarry, breaking stones for Cape Towns streets and walls. She remembers the day her childhood ended, when slave catchers came вЂ” whipping the air and the ground and we were like deer whipped into the smaller and smaller circle of our fear. Sila remembers her masters, especially Oumiesies (old Missus), who in her will granted Sila her freedom, but Theron, Oumiesies vicious and mercenary son, destroys the will and with it Silas life. Sila remembers her children, with joy and with pain, and imagines herself a great bird that could sweep them up in her wings and set them safely on a branch above all harm. Unconfessed is an epic novel that connects the reader to the unimaginable through the force of poetry and a far-reaching imagination.